Here is the latest collection of New Gold Chains Under 20 Grams Weight. Beautiful designs of Light Weight Gold Chain Necklace models with matching earrings are showing here. Small balls model gold chains perfect for small occasions and daily wear. Simple gold chains with weight are showing in this video. 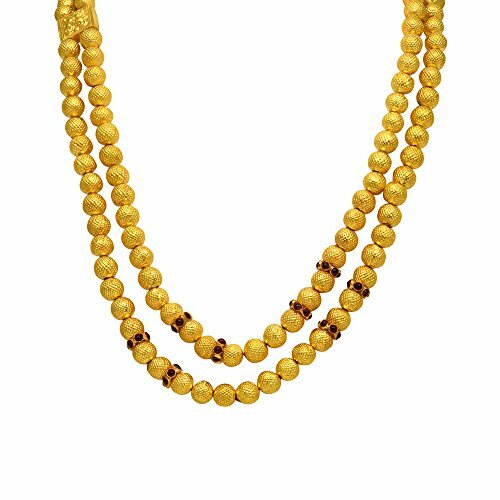 You can Search Amazon for 20 Gram Gold Chains Here or look at more these stunning Kundan Necklaces in Gold. A beautiful selection of Yellow Gold Chains in 20 Grams or below awaits further on, with Prices in Indian Rupees. Part of the 2015 Zenina Collection by Joyalukkas, this is a stunning piece with a beautiful design. 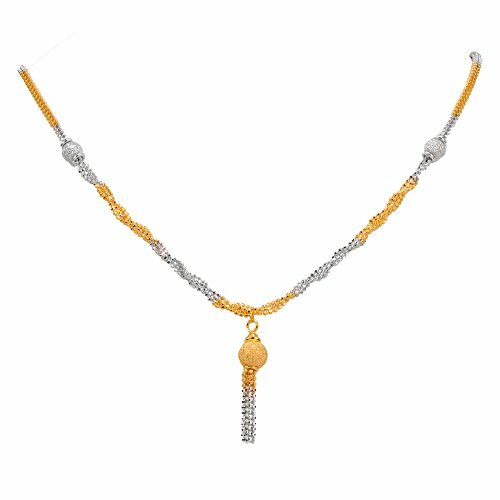 Comes with both Yellow and White Gold, it has a standard chain that is attached to balls via smaller chains. All of it is multicoloured as you can see, although it only has 15.2 grams of gold – this piece really stands out and so wanted to show you this one from Joyalukkas. If you’re in search of a ball style design gold chain in 20 grams, this is a beautiful piece and certainly worthy of your consideration. Using 19.53 grams of oxidized gold gives this Gold Ball Chain Necklace a more antique appearance. 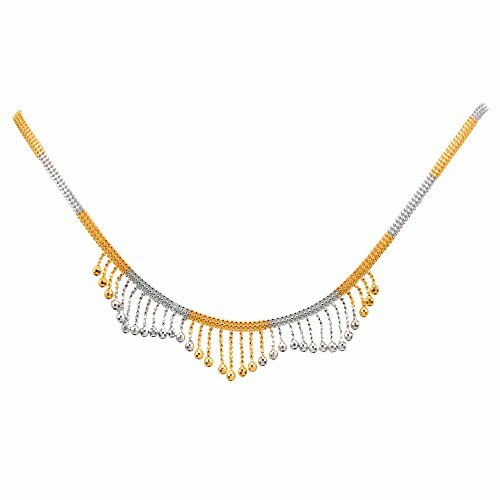 Part of the 2015 Zenina Collection by Joyalukkas, this is an interesting piece using a mix of white and yellow gold. Connected together via anchor points giving a very unique appearance. Not for everyone but if you want a Gold Chain with a difference, this may be for you.